Goree Architects, Inc. was founded in 1963 by Fred H. Goree under the company name Fred Goree AIA. Shortly after graduating from Rice University, Mr. Goree knew he wanted to open his own firm. During the 60s, he worked on all types of projects ranging from residential to industrial to retail. In 1969, he worked on his first automotive project for Sam White Oldsmobile. Little did he know that was the beginning of a multi-decade journey across the country working on automotive facilities. The company name changed in the early 2000s to Goree Architects, Inc. Over the years our business has followed the cycle of the automotive market, until recently. Although we continue to see strong growth with retail automotive facilities; our industrial, office, and retail departments have gained traction. We currently serve multiple industries bringing our dedication to our clients to each new project we are awarded. After more than 50 years, and still active in the business, Mr. Goree has stepped aside allowing Steven Craney to take a leadership role during an exciting growth period. Through strong executive management overseeing the product and process of the service we provide, our team is eager to grow an already outstanding business into the future. Goree Architects believes that PASSION and EXPERIENCE can drive great DESIGN. We value our team and believe that a good balance between life and work makes for a strong employee. We strive to provide our team with the benefits, tools, resources, and support to ensure successful career growth. We are passionate about the buildings we work on and how they impact the environment (sustainability) and the people that use them. We continually strive to remain at the forefront of the technology we use, the product we provide our clients, and the training of our team. At Goree Architects, we believe in spending time together as a team doing fun activities to break up the daily routine. 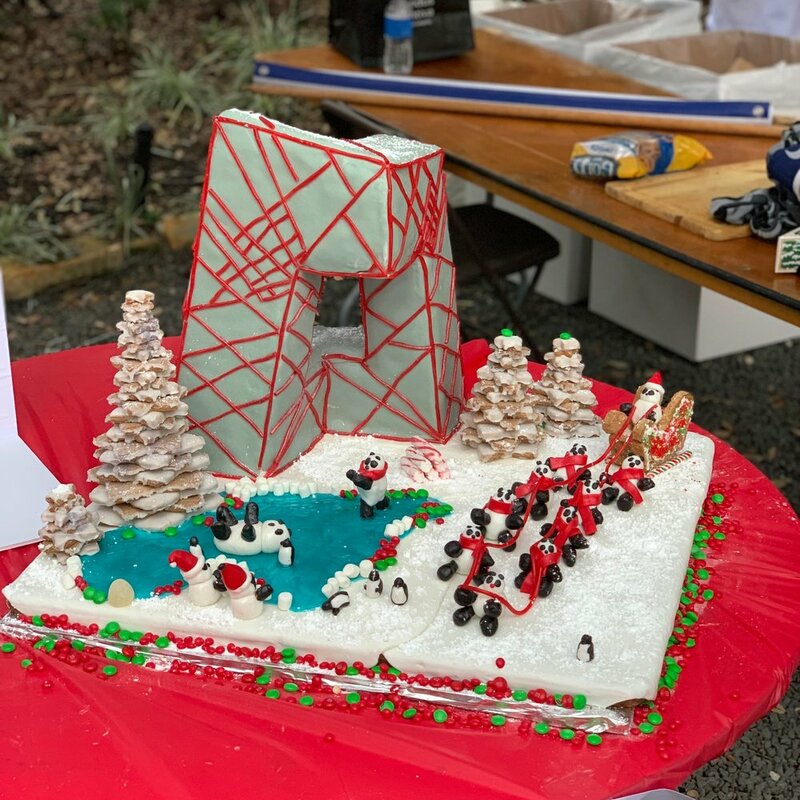 Each year, we enjoy a Backyard BBQ, AIA Sandcastle Competition, pumpkin carving competition, AIA Gingerbread Build-Off, ugly sweater contest, and other events. Below are some of those recent events! Our annual ugly sweater/office Christmas party was great! The sweaters were ugly, the food was delicious, and the white elephant gifts brought some surprises. Goree Architects competed in the 10th annual AIA Gingerbread competition this year. It was a bit chilly but everyone had a blast! Goree Architects competed in the KIDS BOOK theme this year. The day turned out great and made for a successful team bonding event. Annual Ugly Sweater Contest is always a blast! The uglier and more creative the better. First place this year went to Leon who wrapped himself in a box as a gift! Goree Architects WINNER of Best Houston-Centric theme! Goree Architects competed in the KIDTASTIC LEGO theme this year. What a great time on the beach!